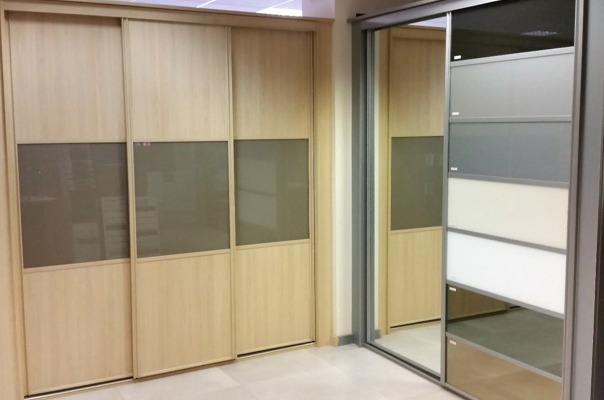 At Barlows we have a large range of complete sliding door systems. Simply choose your panels from our selection of glass, mirror and MFC decors. Then select the framework and internal storage to create you ideal design. At Barlows we work with Trade customers to supply made to measure Sliding Door Systems for self assembly and installation. We supply all panels and sliding equipment for self assembly and installation. 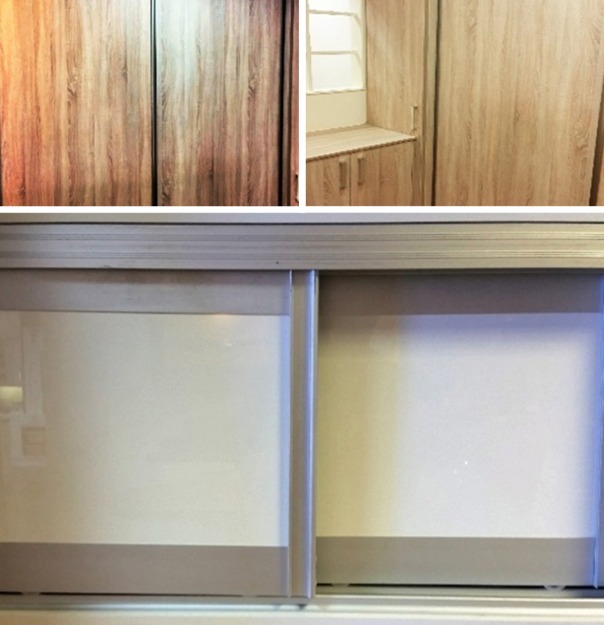 Simply provide the internal width and height of the wardrobe and we will provide the doors, framework and track systems for you to cut to size and screw together. For all general sales enquiries or to speak to a member of our specilaised projects team. Why not use the online enquiry form to get all your questions answered via email. With FREE on-site parking and experienced sales staff on hand with many products and boards on display. Established over 45 years ago, Barlows Boards design and manufacture bespoke laminated desktops and worktops including curved shapes using state of the art machinery. We make kitchen and bedroom units to order and have a large range of components for the kitchen trade, supplying products from leading brands such as Egger, Kronospan, Omega, Durapal, Formica, Polyrey and Getacore. We pride ourselves on competitive prices and prompt delivery services and have a large showroom open to public and trade customers with kitchen ,bedroom bathroom and cubicle displays.